As everyone knows by now, the Pacific Northwest will be experiencing a solar eclipse this coming Monday, August 21, 2017. The path of totality will pass through Oregon, but here in Anacortes, Washington, at 10:21 a.m., we will experience 91% of totality. The website timeanddate.com has a nifty page for determining times and extent of totality for any location. Just plug your city or zip code into the search box. A 91% solar eclipse will still be amazing and I want to be out in it. I realized experiencing it is more important to me than looking at it. I want to see the light changing. I want to feel the air temperature and hear the sounds. I have been thinking about where I would like to be. 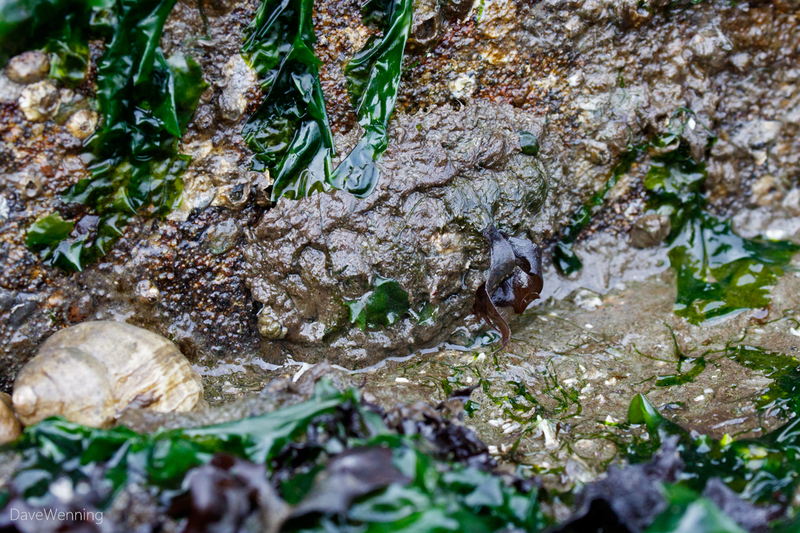 I have selected Hoypus Point in Deception Pass State Park. 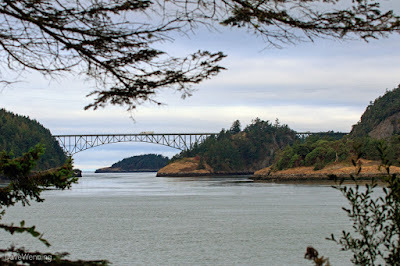 Cornet Bay Road provides views of Deception Pass and the east face of the bridge. While the bridge should be lighted by the sun, the sun itself will not be visible behind the trees of the Hoypus forest. They will provide my eye protection. Yesterday, I took the short hike along the road to plan for Monday's event. I took some test shots with different lenses to see how they would turn out. I think I will use the Canon 70-300L, one of my best lenses, for the photos. 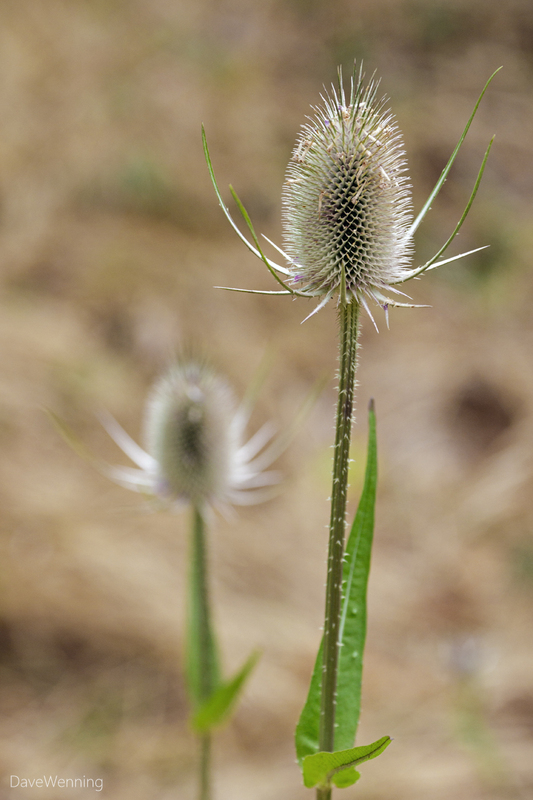 Any time I go hiking in Deception Pass State Park, I find many interesting things to photograph. 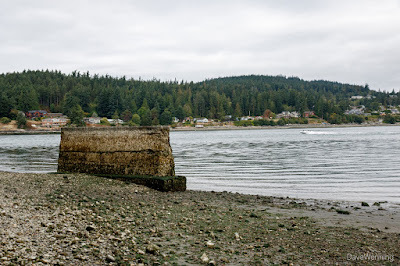 I decided to continue hiking out to the end of Cornet Bay Road where there once was a ferry landing. The ferry was the only way to get between Whidbey and Fidalgo Islands before the Deception Pass bridge was built. Spotted along the way, this Banana Slug (Ariolimax columbianus) gives me another opportunity to get on my soapbox. 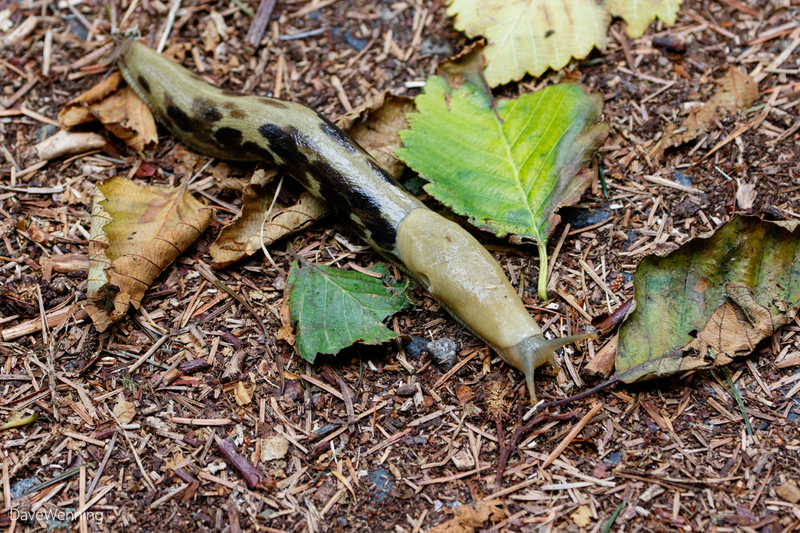 Hikers, these creatures are not pests. If you can't give them your love, at least give them the respect they're due. 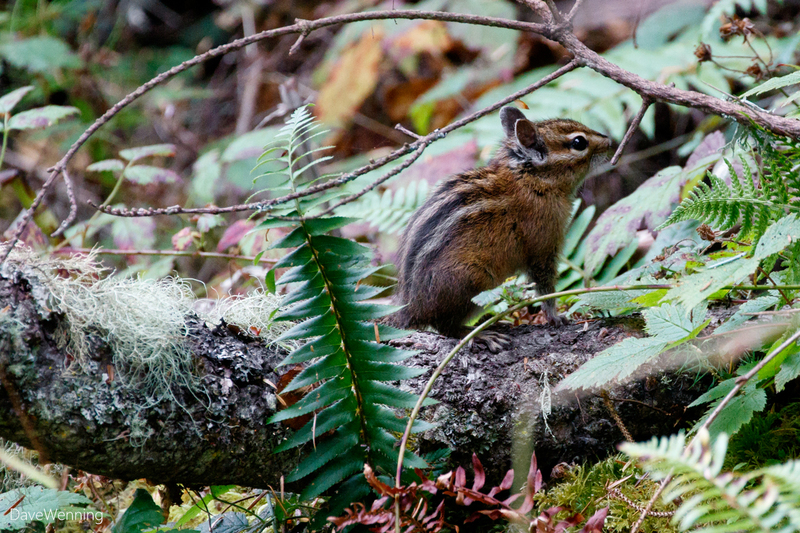 They are biomass recyclers extraordinaire, important to the life of the forest. They deserve your protection. I spotted another critter more endearing to most people. This Townsend's Chipmunk (Tamias townsendii) sat still as a statue while I took several shots. I believe he was banking on this to make himself invisible. "If I don't move, he can't see me." Every shot was identical. Fuller's Teasel (Dipsacus sylvestris) is an introduced species from Eurasia and North Africa. It has found its way to North America, Australia, New Zealand and South Africa. It's another foreign plant with an English-speaking distribution. Is this a clue to the importance of England's gardening heritage to our own? At the end of Cornet Bay Road, this concrete monolith ruin is all that remains of the old ferry landing. 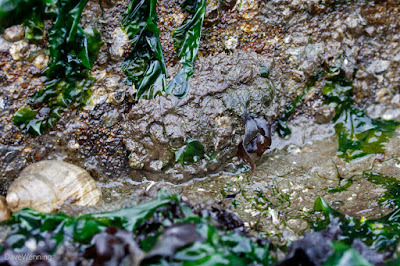 The barnacle line indicates it is usually submersed in sea water. I knew there would be interesting things to find on it. Looking at it, strains of Also Sprach Zarathustra played in my head. I thought of the words, "All these worlds are yours except Europa." You must look carefully to spot this Chiton. My best guess ID's it as a Mossy Chiton (Mopalia muscosa) because it is out in the open. There were several on the seaward side of the ruin. They apparently have a favorite patch of rock, far from which they rarely venture. That's a bit like me. A similar species is the Hairy Chiton (Mopalia ciliata) but these are said to hide in crevices or under rocks at low tide. 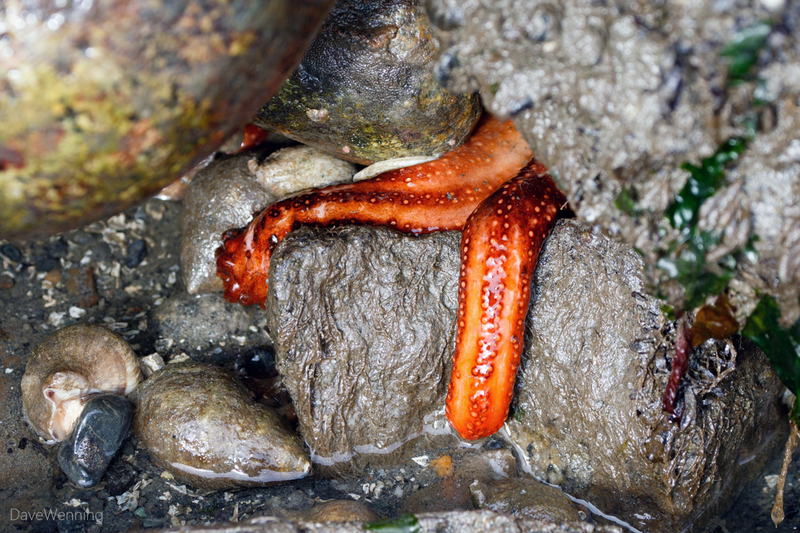 Unlike the Chitons, these brilliant Red Sea Cucumbers (Cucumaria miniata) were easy to spot at the base of the ruin. These are not creatures of the open beach. They belong in the sea or in tide pools. Left abandoned by the low tide and deflated like limp balloons, they eagerly await the return of the sea. 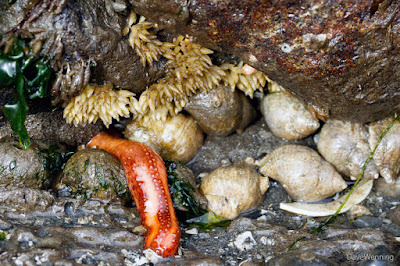 In the company of a Sea Cucumber and sleeping snails are these clusters I can't identify. I've put a call out for help with identification. If you know what they are, please post it in the comments here. Finally, returning to the celestial theme of this post, a lone Sea Star, probably Ochre Sea Star (Pisaster ochraceus), was uncharacteristically out on the beach. It was about 8 feet seaward from the ruin. I wondered if it attempted to follow the tide out and ended up stranded. There should have been dozens here. 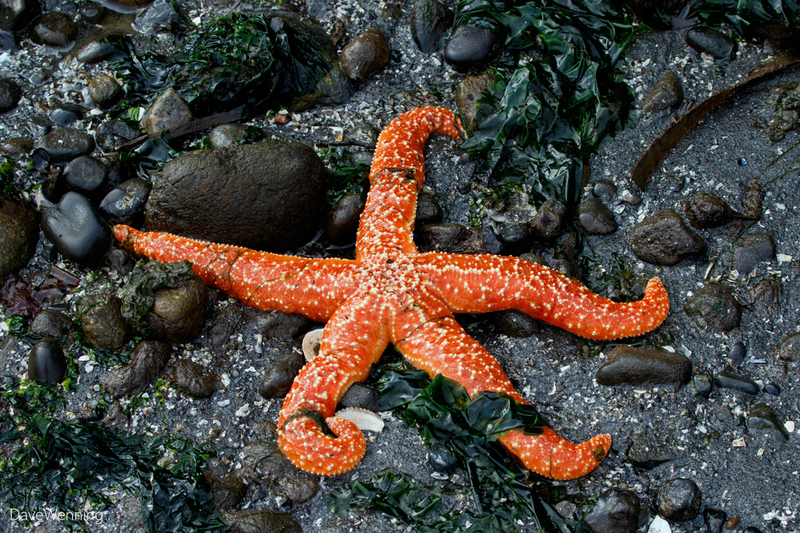 As many know, Sea Stars have suffered a wasting syndrome that has devastated their numbers. While a bit deflated from being out of the water, this big guy, more than a foot across, looked healthy. I think I am ready for Monday's solar eclipse. The last time I experienced one was 1979. I remember a sunny day. The light just dimmed a bit in Sedro Woolley, Washington. Everything took on a bright yellow cast. The one coming up Monday should prove to be more interesting.